We love to get to know the farmers and suppliers interested in using Freshspire. 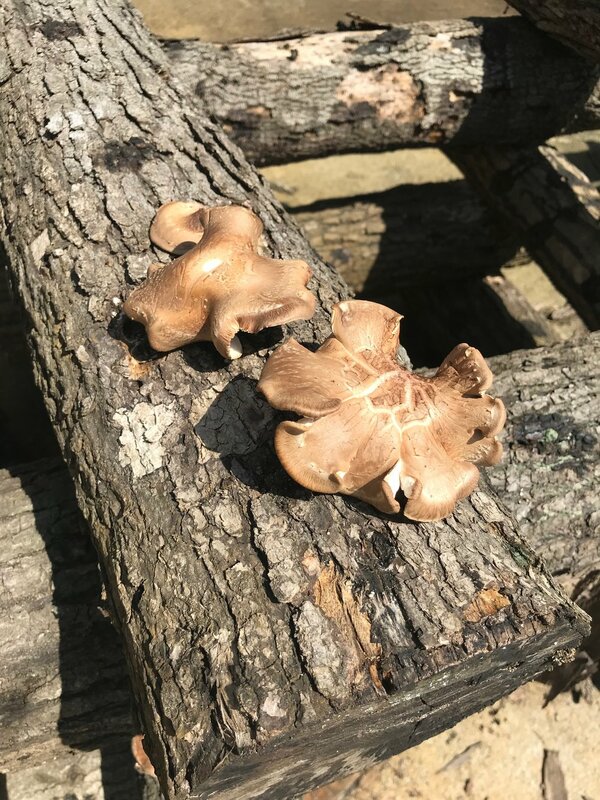 We're so excited to work with Carolina Mushroom Farm, so we went down to learn more about it! The owner, Shahane Taylor, gave us an in depth tour, and explained to us his process of growing mushrooms. Shahane specializes in the cultivation of Oyster, Portabella, Baby Bella, Shiitake and Lion’s Mane mushrooms. Not only is Shahane a "fungi" (see what I did there? ), he is also a smart guy! On top of providing the community with fresh and local mushrooms, Shahane focuses on being a zero waste farm! He recycles all the plastic bags used to grow the mushrooms and is searching for non-plastic alternatives. The logs used to grow some Shiitake mushrooms are kept and used as needed for firewood. Any excess mushrooms are composted or fed to the cows on his farm. Shahane will also be using Freshspire to sell any excess supply he has in efforts to reduce food waste in the community! Don’t forget to support your local fungi and stop by his farm stand at the North Carolina State Farmers Market! And if you’re interested in growing mushrooms we recommend purchasing one of the grow kits for Oysters and Shiitake mushrooms! As always, stay Freshspired fam!